The Ford Futures event allowed the manufacturer to showcase new technologies, some at concept stage and others production ready, that will help make the world’s roads safer. The most futuristic and perhaps the most important was Ford’s fully assisted parking system. The Ford fully assisted parking system shows that technology will be playing an increasingly important role in driving in the next few years. Driver’s aids like powered steering and brakes took a lot of the effort out of manoeuvring at low speed, satellite navigation systems took the worry out of getting somewhere and voice activated systems made driving safer, but none of those aids are anything like as life changing as the new Ford auto parking system. Ford’s system, which was demonstrated at the Lommel Proving Ground in Belgium during the Ford Futures event, takes the firm’s Parking Assist function to a new level. The system that’s available with Ford’s current range helps driver reverse into parking spaces without any steering input, but this new system goes several stages further. The new system will park the car in the tightest and narrowest of spaces using sensors to determine the parking space’s width relative to the car’s width. At the moment the driver has to be in the car but in future Ford are aiming to develop a “remote control” parking function that will allow the car to be parked in sorts of tight spaces that won’t allow the doors to be opened. Assuming that Ford develops a similar system to start the car and get it back out of the space, this could be the sort of show stopping technology that pushes the Ford brand upmarket in future years. 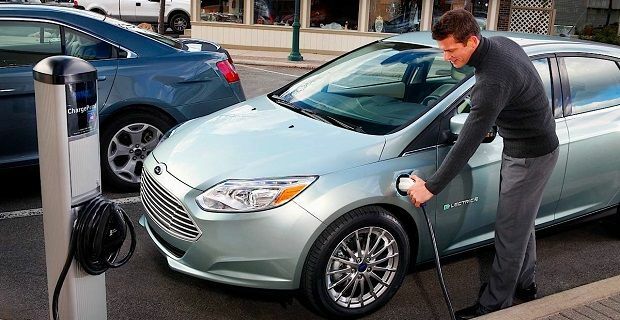 With the arrival of the Ford Focus Electric into the UK market last month Ford are making a commitment to the future in a bigger way than other car makers.